GQ's Citizen of The Year Colin Kaepernick is a Vegan Who "Will Not Be Silenced"
Colin Kaepernick has just made his second appearance on the prestigious cover of GQ magazine. Back in 2013, he graced the front cover, praised as one of the world’s greatest football players – in the latest GQ issue, he is framed on the cover not for his sporting talents, but for being named the magazine’s ‘Citizen of the Year’. A year ago, American NFL star Kaepernick knelt during the national anthem to stand for systematic oppression and what he repeats as “police brutality toward black people”. His powerful gesture has been being recognized in headlines for months now, Colin was even locked out of his sport for this protesting. 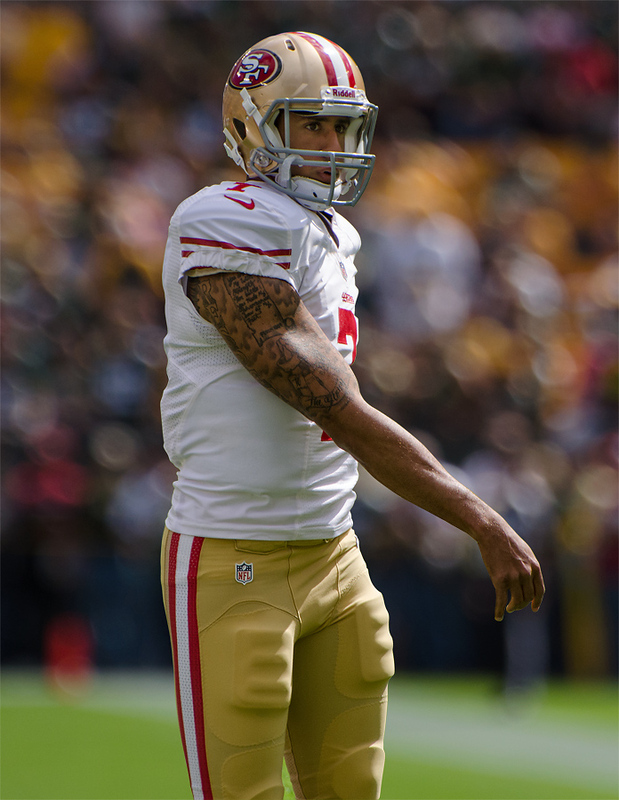 Colin’s kneel during the anthem, in support of people of color and protesting their oppression was only the beginning of Kaepernick’s high-profile activism within the sporting industry. Aptly, the headline of GQ’s Colin Kaepernick cover that was released today is “Colin Kaepernick Will Not Be Silenced.” However, little known is that Kaepernick isn’t only fighting against human injustice, he is also a vegan for animals. A few years ago, Kaepernick decided to commit to veganism, clearly acknowledging how he cannot be silent during a time when oppression is present anywhere, whether that be human or non-human oppression. In 2016, Kaepernick told the San Francisco 49ers media that he adopted a vegan diet during the off-season, meaning at the time he had been eating plant based for about two years. His girlfriend Nessa Diab said about Kaepernick’s diet in a video posted to the MTV2 Facebook page during June 2016, “He’s also a vegan with me. We did it together.” Diab added the plant-powered couple believes in a plant based diet for their health.